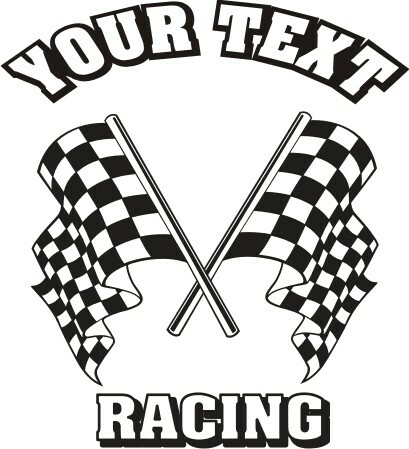 Custom Racing decal with your text. This is for all Who Race! A custom racing decal where you add your name, sponsors name, Team name, RAcing number, or what ever text you want. Sizes are 4", 6" or 12" tall. We also have the 24 and 32" for trailers. DON'T FORGET TO LEAVE A MESSAGE IN PAYPAL WHAT TEXT YOU WANT! !